The Skoda Octavia is a medium sized hatchback (disguised as car with a boot) and an Estate, it is bigger than its rivals, the Ford Focus, Volkswagen Golf and Vauxhall Astra, with a class leading 590 litres of luggage space on top of increased legroom for rear passengers thanks to a wheelbase increased by 10cm over the old model. 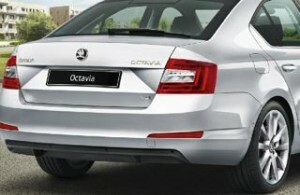 The new Octavia is a smart looking car, not pulse racing in design but a distinct improvement on the old model. It is comfortable, despite the ride being a little firm, and the 102kg weight loss improves the handling. Power comes from a collection of Volkswagen Group engines (Skoda is owned by Volkswagen) and all have their merits, The new Octavia offers excellent value and would be a wise choice for your shortlist. The Skoda Octavia Estate offers all the benefits of the Hatchback with the advantage that you do not have to fight with the high boot lip, storage is increased to 610 litres and to a massive 1740 litres when the rear seats are folded flat. 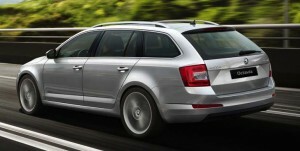 The estate attracts a circa £100 – £300 premium over the price of the Hatchback car. The Octavia trim levels are badged ‘S’, ‘SE’ and ‘SE-L’ ‘S’ cars come well equipped with manual Air conditioning, 16″ alloy wheels, DAB radio, touch screen audio system with Bluetooth connectivity, daytime running lights, leather steering wheel, cooled glovebox and electric front windows, there is not a large jump in additional equipment with the ‘SE’ model aside from rear electric windows, lumbar support for the front seats, electronic climate control and rear parking sensors. The SE-L comes with 17-inch alloy wheels, xenon headlights with LED daytime running lights and LED brake lights. sports seats, cruise control, Sat-Nav and Leather seats. There are three petrol and two diesel engines to choose from, the 1.0 petrol is all new, it has 115bhp and can take the Octavia to 62 miles per hour from standstill in 9.9 seconds yet still return a claimed 62.8 miles per gallon, if you only do limited miles then this is the engine to go for, the 1.5 petrol with 148 bhp offers hot hatch performance with a 0-62 time of 8.2 seconds and economy of 56.5 mpg is a good allrounder. The 1.6 litre diesel offering with 115bhp can return 72.4 miles per gallon and still make it to 62mph in 10.6 seconds, the larger, and considerably more expensive, 150 bhp two litre diesel offers lots of power, perfect for towing or if you travel with a full car, can return 68.9 miles per gallon. All engines are available as a DSG automatic that barely dents either the performance or economy. Diesel prices start at £795 this quarter for the 2.0 litre 150 manual but the 1.5 ACT petrol is the standout offer. The Estate car is similarly priced or £50 more expensive. 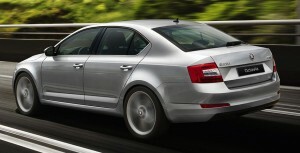 Skoda Octavia vRS is no longer avaialble on the Scheme. Spring Best Buy – Skoda Octavia Hatchback ‘SE’ 1.5 petrol 150 bhp 6 speed manual – £95 Advance Payment (£62.73 wpms) or £145 (£63.06 wpms) as an Automatic.